Alexandre Bissonnette has been sentenced to six life sentences without possibility of parole for 40 years for committing mass murder at a Quebec City mosque. He pleaded guilty to six counts of first-degree murder and six more counts of attempted murder in April 2018, on the eve of his trial. 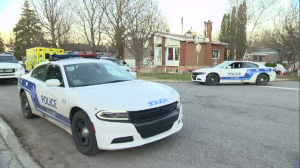 In the ruling, Justice Francois Huot said Bissonnette should serve six sentences of 25 years concurrently for the murder charges and another 15 years, also to be served concurrently, for the attempted murder charges. Huot said that deciding whether Bissonnette would service his sentences consecutively -- one after another -- or concurrently -- at the same time -- was a difficult task. "Criminal law is not an exact science and that's particularly true when determining a sentence," said Huot in court, pointing out that sentences that are too severe or are too lenient affect the credibility of the justice system. He said that 150 years without parole, longer than any human has lived, could constitute cruel and unusual punishment, but that the minimum sentence of 25 years without possibility of parole would be far too short. He then said that even 50 years without parole was "clearly excessive" but that 25 years was not adequate due to the hateful nature of the crime. Huot also said that he was limited to 25-year chunks of time by legislation, while his preference would be for 35 to 42-years without parole. However Huot pointed out nine aggravating factors in setting the time before Bissonnette would be eligible for parole, including that Bissonette idolized serial killers, that he fired at children, and that he committed a hate crime. "There was a visceral hatred for immigrants who are Muslims," said Huot. As a mitigating factor in determining the sentence, Huot believed that Bissonnette was sincere when he expressed remorse in the courtroom, even as the murderer said what he had done was "unforgivable." Judges have had the discretion of choosing consecutive or concurrent sentences for mass killers since 2011. Since then there have been three cases where judges sentenced murderers to three consecutive life sentences, 75 years without parole, for their crimes. Huot said that since the shooting, membership at the Quebec City Islamic Cultural Centre has dropped by a third, showing the impact Bissonnette's act had in violating a fundamental pillar of society: freedom of religion. After the verdict was delivered, Crown Prosecutor Francois Godin acknowledged the families of the victims. "Since it's a very, very long decision by Justice Huot, we will take the opportunity to read it and see if we will or not go to appeal in this case," he said. Bissonnette's lawyers have said that they would have appealed six consecutive sentences by claiming it would be inhumane. In delivering his 246-page ruling, Judge Francois Huot said that Jan. 29, 2017, will forever be "written in blood" in the history of Quebec City. "The members of the Muslim community were living in peace," and participating in society alongside their neighbours when Bissonnette decided to commit what Huot described as "premeditated, gratuitous" acts of heinous fanaticism. Huot reiterated the timeline of that horrendous night, as Bissonnette ate dinner with his parents and drank sake while looking up mass murders online. 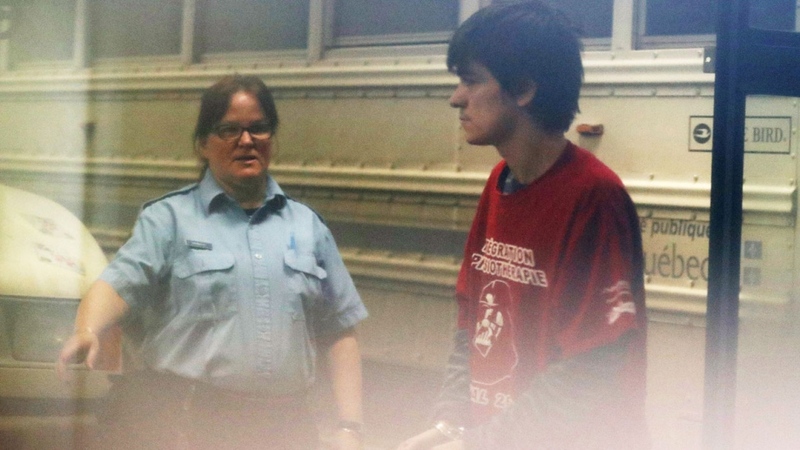 Bissonnette wanted to imitate other mass murders and considered targeting feminists, schools, a shopping mall, or an airport before deciding to kill people at a mosque. Meanwhile dozens of Muslims gathered at the Quebec City Islamic Cultural Centre for evening prayers. Huot said that Bissonnette was outraged by a tweet from Prime Minister Justin Trudeau welcoming refugees. After reading that, Bissonnette turned off his computer, loaded his weapons, and told his mother he was going to run some errands. He then drove to the mosque and opened fire, killing six men and injuring many others. 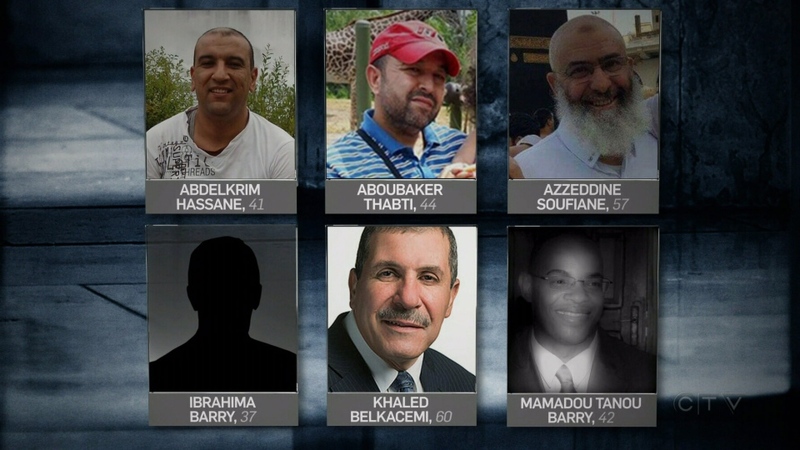 Bissonnette killed Ibrahima Barry, Mamadou Tanou Barry, Khaled Belkacemi, Aboubaker Thabti, Abdelkrim Hassane, and Azzedine Soufiane. Huot repeated the word "calmly" to describe how Bissonnette stood, shot, reloaded his weapon, and executed men -- while a young girl in a pink hat ran around, not knowing what to do. At that point the family of Azzedine Soufiane, who died trying to stop Bissonnette, left the courtroom in tears. After the mass murder Bissonnette drove off, then called police and spent nearly an hour on the phone to confess to the crime. "I wanted glory," Bissonette told his psychiatric evaluators. Medical experts noticed that Bissonnette was very manipulative and narcissistic and that he idolized mass killers. At first he said he didn't remember anything about the shooting then he broke down and said he was tired of acting. He remembered every action and proceeded to describe it all in detail. Bissonnette later told investigators he felt he had to act because he was terrified "they" -- meaning immigrants and refugees -- would kill his parents. Huot said that Bissonette convinced himself, without a shred of evidence, that at least one religious fanatic or terrorist was at the mosque. He thought by killing one, he could save hundreds. A medical expert concluded Bissonnette carried out the murder for personal reasons, and "not for a cause or an ideology." In a statement, Quebec City Mayor Regis Labeaume said he was relieved that the time had come to turn the page. "My thoughts and those of the members of the city council of Quebec City go out to the families of the victims of this tragedy," he said. "I hope that this verdict will allow them to mourn and that they may continue to commemorate their missing loved ones." Labeaume added that he was also thinking of Bissonnette's parents, who he called "collateral victims." This week Soufiane was given a posthumous medal from the provincial government for his act of courage, as was Aymen Derbali. 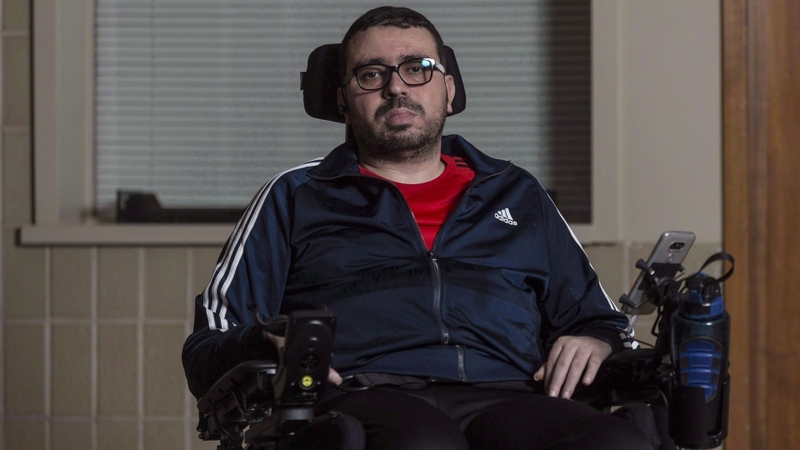 Derbali is now paralyzed from the waist down after he stood in Bissonnette's way to prevent him shooting other people. Bissonnette shot him seven times, and it took ten operations to remove six bullets, but the seventh bullet remains in his body. Derbali had four cardiac arrests during his time in a medically-induced coma, and his wife was told he may not survive and she should consider taking him off life support. She refused. Once Derbali woke up, his nightmares and hallucinations were so unbearable he had to be prescribed special medication. He now lives in a new home, one that he can use in his wheelchair, and the nightmares have now stopped.